WOW such an amazing response! We thank all of you for spreading the word about Revolution 2020, the latest book by Chetan Bhagat. More than a lakh people have already been referred to buy the book Revolution 2020 by Chetan Bhagat @ Rs. 20. We will start sending out GCs to winners who got more than five registered referrals to buy Revolution 2020 at Rs. 20 today. If you still haven’t got five registered referrals that will make you eligible to get the book @ Rs. 20, you could still make it. 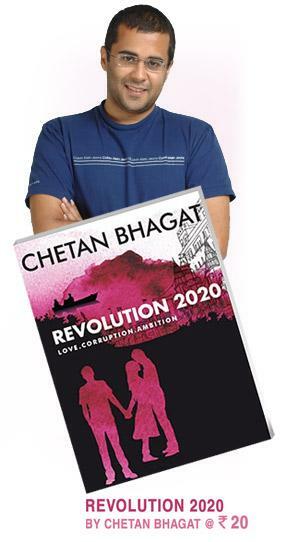 Start referring now to all of your friends to get Revolution 2020 by Chetan Bhagat at Rs.20.